In wartimes, especially in a declared war like WWII, anyone captured out of proper uniforms will be subject to trial and punishment. The article got it correct that the OSS personnel were caught wearing proper uniforms and such, they were still entitled to POW status. The Germans who caught them could clearly see that the OSS men were legitimate targets because their proper uniforms indicated that they were Americans (Germany’s enemy in WWII). Dolster was aware that the OSS men were in American uniforms and not only ordered the execution, but signed the death warrant himself. You can ONLY execute soldiers or civilians who are captured wearing a disguise AFTER they were put on trial first to determine whether they’re guilty of espionage or not for whatever reason. If you get too many people disguising themselves as civilians or enemy soldiers, you can’t tell who’s a legitimate target and it will invite retribution against civilians or even their own guys, especially during combat (and possibly lead to friendly fire incidents too). Such activity has to be discouraged as possible and the only way to silence spies, who have higher chances of being armed with potential information about the enemy, is by executing them. For Dolster, that’s not the case here. The OSS men’s uniforms showed that they belonged with the American military which easily allowed the opposing army to see the difference between valid targets and innocent people. Anyone captured out of proper uniforms will be subject to trial and punishment but not commandos wearing proper uniforms because putting them on trial is also illegal and would make it no different than uniformed military personnel in the open battlefield. Uniformed military personnel are covered under international law and they are still entitled to POW status after throwing down their weapons and surrender to the opposing army completely. Doslter know fully well about the consequences that executing U.S. commandos in proper uniforms would violate international law yet he did it anyways. He chose lust and power over what’s right and wrong. His only pathetic excuse in the war crime trials was “I just following orders, an order is an order.” If you chose to go along with your leader’s orders knowing that it would violate international law, you’re just as guilty as them. 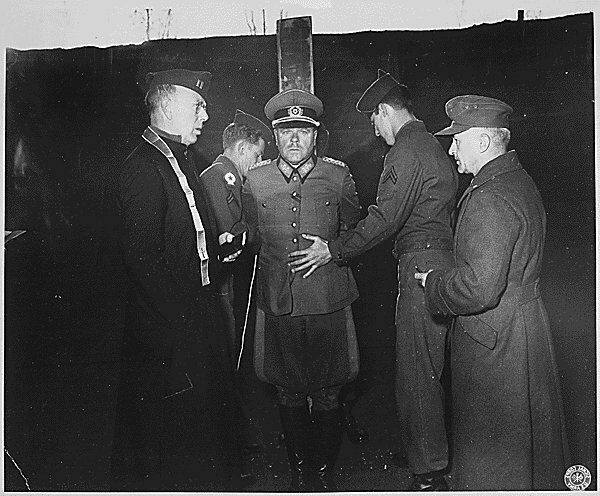 As the last paragraph of the article noted, many German officers, especially Alexander zu Dohna-Schlobitte, refused to execute Allied commandos in proper uniforms because they knew it was morally wrong and in violation of international law. Dolster had made 100% immoral choice to execute the OSS men within his powers despite the fact his colleagues begged him not to. Dolster got his award at the end! A Nazi general who obeyed a madman who constantly gave arbitrary death orders and caused the death of millions capriciously, deserves execution. He suffered far less than millions of others murdered slowly or brutally by his military. Gordon–We lost a lot of people pulling other people out of the Fire Hitler started all over Europe. We lost a lot of people fighting the Japanese. The Japs and the Germans were evil regimes, and you worry about a Nazi general who committed a war crime being wasted? Wash out your headgear. Genera Dostler wasn’t a “Nazi General”. He was a regular German army officer who was never a member of the Nazi party. 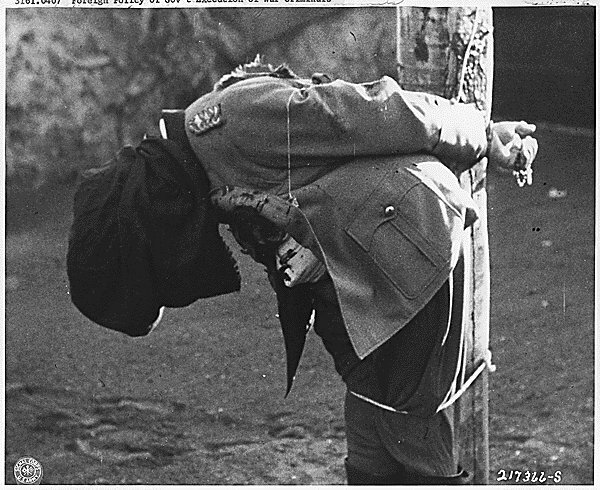 General Dostler was following “Hitler’s Commando Order” which required the execution of all captured saboteurs. He didn’t take the initiative and it wasn’t his will to execute the 15 American captives. If he had not ordered the execution of the 15 American captives. he would have died a whole lot earlier. It’s called “Victor’s Justice”. His REAL crime was to be on the losing side. Next time we let the Nazis have your country.